Within the Jewish community, it is a practice of remembrance to leave a stone or stack of stones on the grave of a loved one. There is no exact origin and reasoning behind this tradition, but one superstition is that the piles of stones keep the souls of the deceased in the ground, ensuring a peaceful equilibrium. A more symbolic interpretation is that the solidity of stones represents permanence and endurance. Piles of stones can be found across various Holocaust memorials in Central Europe to commemorate those lost in the violence of World War II. In this case, the symbolism is elevated; the stones no longer represent an individual soul, and often there is no grave that families of the deceased can pay homage to. Instead, the stones are placed on the earth or at memorials, and represent the grieving and memory of all the victims. 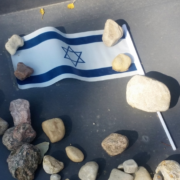 There is no way to recapture the individuality lost through the dehumanization of concentration camps, but the stones are present to show that the victims, though many lost their identities, have not been forgotten. The message is not only of grief and mourning but a simple reminder from the people and families who survived; we remain, and we remember you. Another interpretation of the physical shape of the piles of stone, especially in the postwar and modern era; we will rebuild. During the war, Warsaw represented the delicate balance of destruction and reconstruction. The September 1939 the German Luftwaffe carried out the largest air raid to date, which served to both demolish the city and demoralize the Polish people. 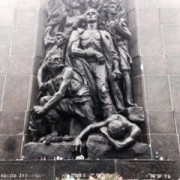 In 1943, the Jews of the Warsaw Ghetto resisted German efforts to liquidate the Ghetto and transports to Treblinka. The German response, under Jürgen Stroop and Heinrich Himmler, was to burn the ghetto. The Warsaw Uprising of 1944 was an attempt by the Polish Home Army to take back their city. When it failed, the Germans destroyed the city. By January of 1945, close to 90% of Warsaw had been physically destroyed. 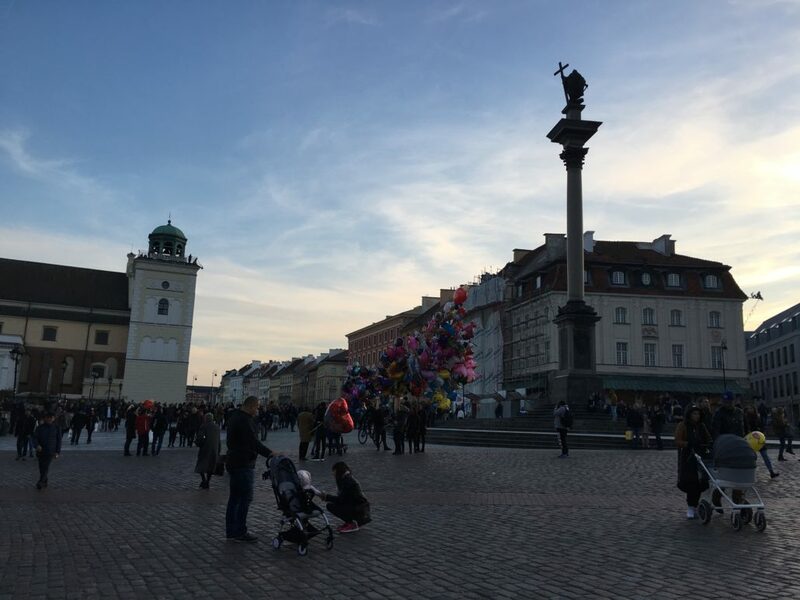 In the aftermath of attacks, the people of Warsaw found the strength to attempt to reclaim their city from their oppressors. After the war, the new leaders of Poland contemplated shifting the capital to another city because, at the time, no city had ever been rebuilt from such destruction. 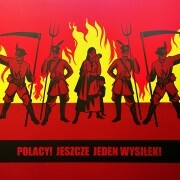 Polish citizens, often those who had been part of the resistance, fought against this idea and, in the end, prevailed. The capital remained Warsaw, and the rebuilding of this once great city began. 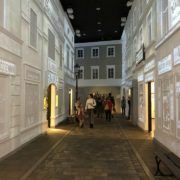 Architects used old paintings of Warsaw to recreate building styles and the structure of the city. It was impossible to clean out all the demolition from air raids so, in order to move forward, the new city of Warsaw had to be constructed upon the ruins of the old city. 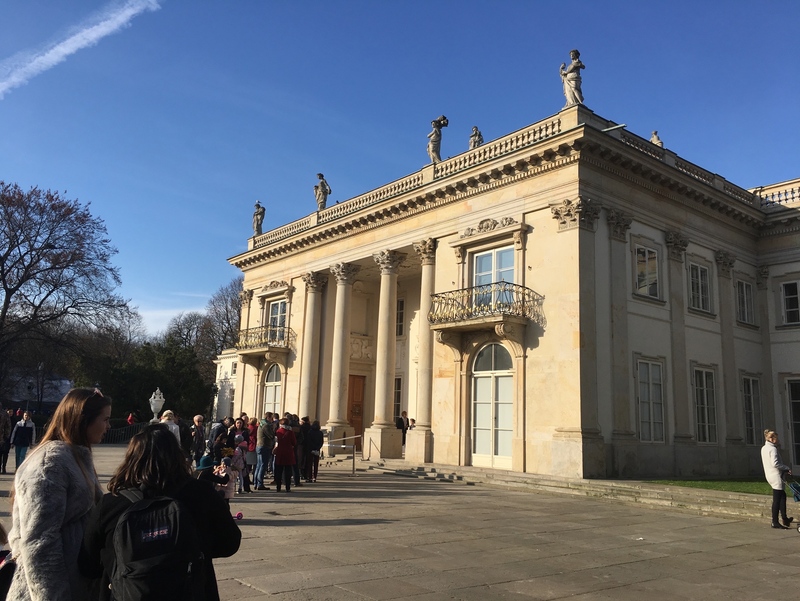 This accounts for the strange elevation difference in present-day Warsaw. The present has been laid over a past narrative, which could serve as a theme for postwar Europe. In order to rebuild successfully, the destruction of the past must be reconciled and acknowledged. 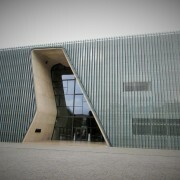 Warsaw sees to this reconciliation of the past in another way; museums dedicated to the Jews of Poland, and the Warsaw Uprising. One of the greatest struggles in postwar Europe was how to move forward from the unprecedented atrocities of the Holocaust. 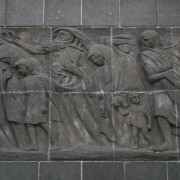 Redrawn boundaries, Communist regimes, and lingering anti-Semitism greatly challenged the healing process. The destruction brought on by the war far outlasted the war itself, and amidst its chaos the people of Europe were forced to find ways to rebuild their countries and lives. In Poland, survivors of concentration camps such as Auschwitz came home only to be murdered in pogroms. Cities across Central Europe that had been utterly obliterated had to be rebuilt and often renamed. The physical destruction of the Berlin Wall to reunify Germany symbolizes the rebuilding of a nation out of destruction. Warsaw represents the challenges of rebuilding a city after obliteration, and the balance between destruction and reconstruction that is found in many postwar places of memory. 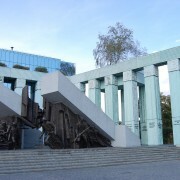 The whole of Warsaw acts as a monument to the lives lost in the city’s two uprisings and various German bombardments. 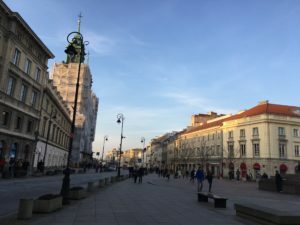 Its identity is found between the rubble of the old city and the new city presiding over it, and the link from the past to the present remains strong in this juxtaposition, much like the piles of stones from Jewish traditions.